Three ways to turn your time off into a platform for creativity and productivity. Some people come up with new ideas during a group brainstorm. Others swear they get their creative inspirations in the shower or on the drive to work. But there’s one process that almost always seems to work — taking a vacation. Just ask the creators of Instagram, Dropbox and the musical “Hamilton.” All three were conceptualized during vacation. That’s because taking time off, from work or life in general, is necessary to make room for innovative thinking and creative breakthroughs. Americans are known to be overworked, and work is cited as one of the primary sources of stress per the American Psychological Association. This is not surprising considering the growing expectation to be available around the clock and the information we’re forced to wade through daily on top of our actual workload. Not to mention the constant need to be tethered to our mobile devices and social media accounts. Whether you work in a corporate environment, are self-employed or even a student who’s facing the daunting task of entering the professional arena, stress from work and our always-on life can take its toll on physical wellness, productivity and creative thinking. Fortunately — since most of us can’t avoid work — there are tangible ways to combat stress, one of which is simply tapping into that bank of vacation days you’ve accrued and getting away from the office. While taking time off from work may seem counterintuitive, research shows it works. A study called “Project: Time Off” found that 84% of managers agree employees return to work with improved focus and creativity after taking time off. Bill Gates even took a “think week” twice a year where he disconnected and pondered the future in seclusion, and many have said this how many of Microsoft’s greatest innovations started. That’s because this strategy — disconnecting and taking time off — provides the framework to nurture the curiosity and passion that keeps ideas fresh and competitive. 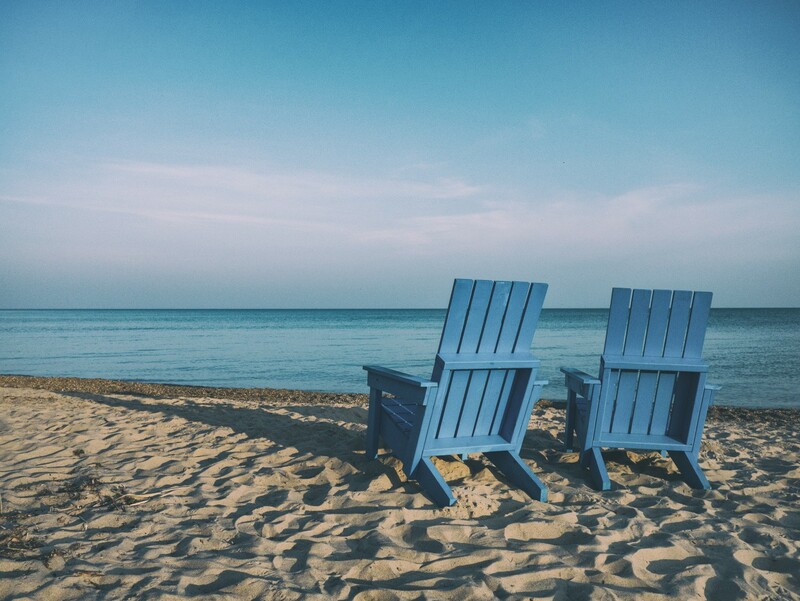 The first step is to make sure you’re not just moving your office to the beach, but creating a true separation from work. This year’s American Psychology Association’s Stress in America study said those who are constantly checking their devices tended to be more stressed. Though it may be customary to bring a laptop or tablet with you on vacation, the temptation to check email and get sucked back into the work cycle is high, eating into time for restoration. Getting out of your comfort zone and going somewhere new is important for nurturing creativity. You don’t even have to go to the other side of the world to do this. Even a two-hour road trip to someplace you’ve never been before can help get the creative juices flowing. Getting out of the day-to-day routine and experiencing a new environment, with its new sights and sounds, can be enough to spark creativity and get our brains to think in a different way. While you’re taking time off, practice mindfulness and observe your surroundings. Write down your reflections and observations as they come to you. As you write, you may find inspiration for new ideas or come up with creative solutions. Resist the urge to power on your laptop and instead turn to old-fashioned pen and paper. Regular journals are an option, but your ability to quickly share these ideas with a colleague or search through notes is limited. Fortunately, new technology, like Bamboo smartpads, can combine the ease of writing on a notepad with the benefit of digital technology. It allows you write or sketch your ideas with pen and paper and convert them to digital files that can be accessed, edited or shared from anywhere. There’s no perfect process for coming up with ideas and thinking more creatively. But taking the time away from our fast-paced lives to refocus and unplug can undoubtedly help. Just make sure to pack the sunscreen. Rick Peterson is the Senior Director of Global Market Strategy for Bamboo and the unofficial director of ideation and mindfulness. For more tips on how to be more mindful and productive, check out www.bamboo.wacom.com.